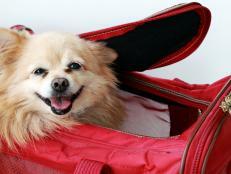 Creative tips for keeping costs down while traveling with your pet. Any vacation can put a dent in your bank account if you’re not careful, but traveling with your pet doesn’t have to. Actually, traveling with a pet will often save you money over leaving your pet at home, says Len Kain, cofounder of Dogfriendly.com. This is because kennels or pet sitters are hardly budget-friendly (often $30 to $60 per day or more). Also, traveling with a pet may persuade you to do cheaper or free activities, such as walking along the river or bay, visiting outdoor museums or visiting walk-up restaurants. 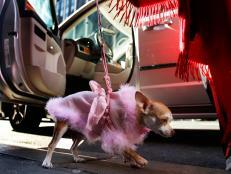 A pet makes it more difficult to attend a Broadway show or a very expensive restaurant. Find out how to keep costs down while you and your pet hit the road. Not only is traveling by car more comfortable (frequent stops for Fido and a much-less annoying seat neighbor for you), it can be more economical because airlines charge fees for flying animals. If you must take to the skies, investigate those fees before takeoff. 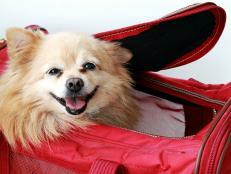 AirTran and Southwest are among the cheapest, asking less than $100 each way, but both allow pets as carry-ons only. Delta and other larger airlines will transport your pet in the cabin as well as in cargo (domestic and international), but the cost is higher, sometimes as much as $200 each way. This way, you can save in the future. 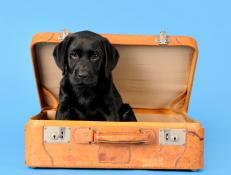 “JetBlue, Continental, and Virgin Atlantic all have programs that offer frequent flyer miles [for pet owners] and Continental also offers them for pets traveling in cargo,” says Susan Smith of PetTravel.com. “If you are staying somewhere one night, don't stay at a place with a high one-time pet fee,” says Kain. “If you are staying for two weeks, a high one-time fee is not as much of a problem.” Of course, no pet fee at all is even better, and happily there are a few chains that accommodate cats and dogs for free. Motel 6 is gratis for pets. So are Kimpton Hotels, some of which offer great amenities like dog-walking services and pet-psychic readings. Doubletree Hotels charge at most a one-time fee, and if you’re staying several days, that can be a good deal. 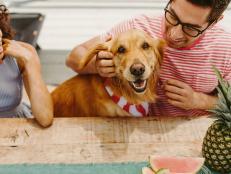 “A great alternative for many families with pets is a vacation rental, condo, or cabin,” says Kim Salerno of Tripswithpets.com. “These properties tend to have lower weekly rates, and it can be more like a ‘home away from home’ for you and your pet.” Search for the right spot at Vacation Rentals By Owner. If you and your pet are more the outdoor types, consider camping or renting an RV. “Most campgrounds are pet friendly and it affords a great opportunity to travel with larger dogs,” says Smith. Find listings for pet-friendly campgrounds at Dogfriendly.com or Campingpet.com. Sue Smith reminds pet owners to make sure their crates and carry-ons are airline-approved: “If your crate or carrier is not airline-compliant, you will have to purchase a carrier from the airline, and this can be very costly. And pack some of Fido’s favorite food. “It will be less costly than trying to find your pet’s brand and will avoid stomach upset for the pet by adjusting to a new food,” she says. For great travel gear, click here. Billie Cohen is a travel writer living in Brooklyn. She's covered the Northeast, the Far East and many places in between. 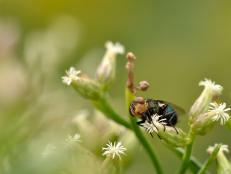 Photo: Flickr Creative Commons from Mark Sardella. If you can't bear to leave your four-legged family members at home, bring them along for a pet-friendly vacation. Whether traveling by car or air, these tips will help make for a great trip with your dog or cat. 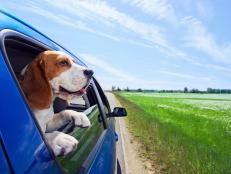 Want to bring your pooch on the road? 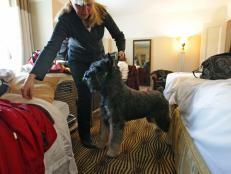 Here are travel tips from the dog handlers at the Westminster Kennel Club Dog Show. Celebrate your love of travel with these adorable dog and cat names. Whether you’re traveling by air or car, or need a hotel for you and your furry friend, we’ve got tips for a safe and easy trip. Travel Channel's picks for travel pet gear. Go behind the scenes at the 135th Westminster Kennel Club Dog Show at Madison Square Garden. Traveling with pets can seem like a circus, but knowing what to expect and being prepared well ahead of your flight will make for a smooth trip for both you and your non-human companion.